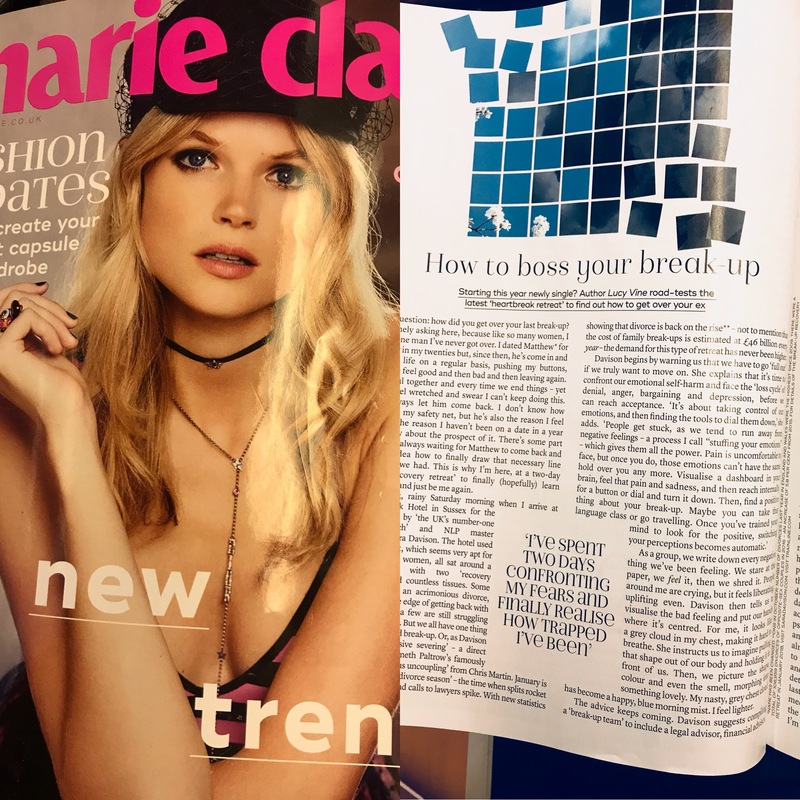 Read the feature review in this months Marie Claire on my Break-Up and Divorce Recovery Retreat at Ashdown Park Hotel. Designed to help you cope better with heartbreak, separation, single parenting, conflict, emotional abuse, empowering your children to cope better and creating a future that you are excited to live. If you want to come along to my next retreat the date will be 3rd and 4th March 2018. Seats are limited to maximise results so visit my homepage to book your seat. As seen in Marie Claire in this month’s edition.